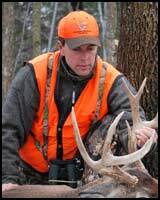 “NorthCountry Whitetails has been in the deer property business for almost 20 years. With almost 300,000 acres under management we know the difference between properties with outstanding deer hunting potential and properties which will never make the grade. We have created some of the finest deer properties in the north. Our approach is to only purchase properties (we reject over 95% of what we look at) with outstanding potential. We then improve them and set them up for hunting by installing food plots, access roads and trails, security areas and a host of additional habitat improvements. We work with them until they are ready to hunt. They are offered as turn-key properties ready to provide years of enjoyment. You can sign the papers at noon and hunt the same afternoon! We continue to manage these properties for many of our customers who do not have the time, equipment, or know how to work them their selves. We stay in touch with our owners to ensure their success. We often return to the properties for “tune up” work or to recommend additional “deerscaping” or supervise plan implementation. Most of our properties are virtually 100% huntable. “Huntable acres” is a very important concept when considering a property purchase (see “Think Huntables not Comparable's” article). We reject properties with “high risk” neighbors or too much open space near a road or swirling winds or any of a dozen features that can interfere with hunting success or enjoyment. Our properties are all built on a solid foundation (soils, winds, food, security, herd characteristics). Most realtors do not understand these concepts well enough to understand the difference between a good deer property and a nightmare. Our properties are laid out for hunting and they have the potential to produce great deer. NY is one of the last places on the east coast with affordable pricing so our properties offer real value, especially with all of the heavy work already done for you. Best of all our properties have been built by the best in the business. They work for you and are easy to kill deer on. All of our properties come with a fully detailed management plan ( think owner’s manual for your property) and NorthCountry’s customer satisfaction guarantee. We are always there to take your calls, answer your questions and guide you along the way; just ask those who have dealt with us over the years. We are happy to provide references to those seriously considering a purchase. NOTICE: We are not a high volume operation. Our business model allows us to only offer a few high quality properties at a time. Building deer hunting property takes time and we are not into mass production or assembly line production. We build them one at a time and don’t quit until we have it right. Many of our properties are sold “quietly” before they are ever publicly advertised. If you do not see what you want in out listing call for a consultation. We may have one in development or can locate what you are looking for. Buying a Hunting Property: Can You Afford It? “Buy land, they aren’t making it any more”. How many times have you heard that one? It’s one of those old saws that has not only withstood the test of time but strengthened with it. Or has it? Is buying land still a good financial move in our current climate of economic chaos and uncertainty and can you really afford it? Hunting property is typically referred to as “recreational land”. For purposes of this discussion recreational land is “an expanse of land where outdoor recreational activities like hunting, fishing, hiking, camping and wildlife viewing are pursued”. It is not a house on the beach, a cabin on 5 acres in the “wilderness”, or a campsite on a stream or lake. It is definitely not a 20 acre tract of “developable” land just outside of town bought on spec, or a dairy farm complete with a herd of cows, a half dozen tractors and bank note that would make Hank Paulson cringe. It’s not 600 acres of tillable fields waiting for the ethanol market to take off. These are investment properties and land which may or may not have an enterprise value factored into the price. They are often bought (and sold) on spec and should for the most part be avoided by “recreational buyers”. What we’re talking about here is 50-500 or so acres of rural property preferably with a resident population of deer and other wildlife. It typically will include some tillable acreage, a timber resource, road access, water and a spot to site a cabin or retirement home. Neighbors are sized up by the color of their tractors not the cut of their clothes and being part of a QDM co-op is the ultimate status symbol and definitely a “neighborhood” you want to hang out in. In a phrase, we are talking about a piece of ground that can be developed into the hunting property of your dreams. Price is the first economic issue you have to deal with, it is the purchase price of a property. Hunting property prices (not spec or enterprise property prices) are typically driven by the market dynamics of supply and demand. Quality hunting property has always been in demand but the recent Quality Deer Management movement sweeping the country has made demand for quality deer hunting properties even greater. Buffalo County WI deer property is expensive because it grows big bucks and lots of hunters want to shoot a big buck. Hunter-landowners are paying big bucks to own land and hunt in a high quality deer area. Property in Bucks County PA and Westchester County NY are also expensive but for a different reason. These areas are heavily populated and land is in short supply. Everybody wants it and as the man said, they aren’t making any more of it. Buyers in these highly populated areas are willing to pay for the privilege of owning land and re-creating close to home or their place of business. Fortunately, most property with deer hunting potential is priced well below property in these areas. 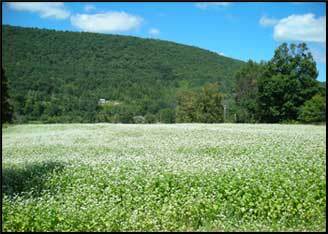 Some regions of NY and PA still offer real value in raw land as do sparsely populated areas of northern New England. The trick is to find the right property for the right price. For the most part, the market dynamics of supply and demand are pretty much factored into the “ask” of property offered for sale by serious sellers. Most sellers are selling for a reason and that reason is to generate cash so most properties are priced accordingly. Most realtors will have a pretty good idea of what property in their area is bringing and price accordingly. Most property offered by realtors is priced at or near market value as well. One exception would be sellers who insist on dramatically overpricing their property. These are not serious sellers; they are just owners looking to “cut a fat hog”. They tend to lower their price quickly when the realities of supply and demand set in or take it off the market completely. “For sale by owner” signs are often the tip-off to this kind of deal. Unrealistic pricing pretty much guarantees that a property will sit and sit and sit for years as the seller waits for a naive buyer with more money than brains. Don’t waste your time on this kind of situation. Real estate professionals use “comparable's” (what similar property in the region sells for) to establish fair market value. Comparable's should be taken with a grain of salt when buying deer hunting property as most buyers and, for that matter, sellers don’t know the difference between a piece of ground with outstanding deer hunting potential and a property that will at best be just so-so. More than one would be purchaser has turned his back on a great hunting property because 200 acres of “hunting hell” 3 miles down the road sold for a hundred bucks per acre less. Hunting property purchasers should think in terms of “huntable acres”. Few if any properties are 100% huntable. Large open fields, steep vertical faces, excessive road frontage and neighbors reduce the total huntable acres on a property. A 300 acre property with 100 huntable acres is no value at any price. Look for property which is at least 90-95% “huntable”. Anything less than that should be discounted accordingly. Truly, finding a hunting property with outstanding potential is no job for amateurs, or for that matter, for realtors who might not have extensive experience in hunting property management and sales. Evaluating hunting property is best left to the pros who know what goes into developing a great deer hunting property and are able to accurately gauge a property’s hunting potential. Many factors go into property selection. In addition to huntable acres; soils quality, wind and weather conditions, growing seasons, food and cover, deer densities, herd age structure and ratios, security and access are all important but, the most important consideration is how all the features of the property will “work’ together as a whole. This is where a trained eye and experience really pays off. Basically, you have three choices in finding the right property: 1) You can roll the dice and take a stab at it finding your own property (risky and inefficient), 2) you can buy a fully developed property with a track record of producing quality deer hunting (very hard to find and very pricey) or 3) you can work with a wildlife professional to help you find “a diamond in the rough” or “started” property with outstanding potential. This is by far your safest bet and will yield the greatest return on your time and money. But, purchase price is only part of the property financial equation. We all know what a $30,000 pickup is worth 10 (or even 5) years after you buy it. What about a $300,000 hunting property? Will it appreciate in value and prove to be a solid investment or like some real estate today, will it be worth only a fraction of what you paid for it. Recreational property, fairly priced, typically rises in value over time. But, how much? That depends on a variety of factors including region and market dynamics but most recreational property purchasers can pretty much count on their property to appreciate at least 5-7% annually. Some areas have seen dramatic spikes in recreational land value with accompanying downturns but historically, raw land has tended to appreciate. Even at 5% this adds up to a pretty good investment over time and best of all it is a safe place to park cash. What about the real estate crash we’re all hearing about. We’ll let’s look at what’s crashing. Beach houses, high rise condos bought on spec., housing tract future sites, and “fast buck” land deals are all going south. Fairly priced, non speculative “raw land” prices are holding up nicely. Will people have to sell land to raise cash in a major league recession or some sort of economic depression (ugh)? Sure. Will this drive prices down? Perhaps. But forced sale land deals will no doubt be gobbled up by investors with cash looking for a secure spot to park their money or neighbors looking to expand their holdings. Good hunting property is difficult to find. It is unlikely that there will ever be an excess of quality hunting property for sale. It would probably take a mass sell off in a specific region to systematically drive raw land prices down. Hunters are better off leaving the land speculation game to the pros. Land starting to look like a good deal? Let’s look a little closer. Most deer hunting property has an existing timber resource. A $300,000 hunting property might well have a $50,000 -100,000 or more timber resource in place. It may be ready to harvest immediately (to offset the purchase price) but even if it isn’t, the timber is growing each and every year (5-7%) and eventually (barring disease and natural disasters) will begin paying dividends in the form of timber harvests. Historically, board footage prices have risen about 2% annually over the past 25 years. If 2% per year doesn’t seem like much, check out some compound interest rates to see how quickly it adds up. Timber harvests can yield some pretty attractive cash. Timber prices typically fluctuate with market conditions but in constant dollars your timber portfolio will grow about 7% each (price coupled with footage growth) and every year. Put a couple of hundred acres into a rotational harvest program and you are looking at a cash dividend every 5 years or so. Not bad, considering how your stock broker has been treating you lately? Even taxes have a bright economic side in the deer property ownership game. There are a number of state (NY-480A) and federal (CRP) programs available to reduce tax burdens to raw and agricultural property owners. Most of them are conservation driven and “pay” land owners (often in the form of tax relief) to manage their property for wildlife or timber or some other worthwhile practice they would normally be undertaking in the name of wildlife conservation. Couple these with a smart accountant who knows something about trusts and estate planning and your hunting property tax burden can take on a whole new meaning. The recent energy crisis has created a good bit of economic activity in the form of gas, oil and mineral rights leasing on many recreational properties. Recently gas leases in some northeastern locations have skyrocketed as energy companies pursue new sources of energy. The activity has been spotty but if you are lucky enough to be in a target area and are willing to allow exploration on your property, you could be looking at per acre lease rates that approach the purchase price of your land. You can at least count on reducing if not actually paying your taxes on gas lease revenue. And don’t forget wind power. More than a few outstanding deer hunting properties sport 200 ft. wind generators supplying clean renewable energy to the public and regular cash payments to the property owners. Can you afford to buy your own hunting property? When you put on the green eyeshade and sharpen your pencil recreational property at a couple of thousand bucks an acre (or less) doesn’t look like such a bad deal after all. In fact, in today’s world of shredded portfolios and underwater beach condos, raw land starts looking like a darn good deal. When you think about it, you can hardly afford not to own your own hunting property? Where else can you safely park your cash, earn a handsome return, do something good for wildlife and have a place of your own to hunt deer in the bargain. Remember -“they are not making it any more”. locating and developing affordable properties with outstanding potential. Hundreds of satisfied customers attest to his integrity and professionalism. He also specializes in finding and hunting big deer. With a dozen bucks scoring 150”+ to his credit, Dave is known as one of the finest deer hunters in New York State . Dave has hunted all over the country and knows good deer habitat when he sees it. He also knows how to create wildlife habitats, anyone who has seen his 1,200 acre personal hunting property can attest. He is an accomplished food plotter and habitat manager who knows how to maximize hunting success on a property. Dave is eager to put his business knowledge, work ethic, and energy to work for you. He is the kind of guy you would buy a property from or for that matter share a campfire. Dave will be there when you need him; before, during and after the sale. developing northern deer hunting properties which he transforms from run of the mill hunting properties to finely tuned Deerscapes™. He is currently managing over 100,000 acres of deer hunting properties including some of the finest in the East. Neil's property Deerscapes have been featured in numerous hunting publications including “Outdoor Life” and “North American Hunter”. 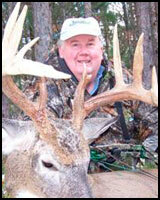 He appears regularly on Deer and Deer Hunting TV where he manages their “Tiger Ridge” deer hunting property project. He also is a regular on Quality Whitetails TV (QDMA) and bass Pro's Outdoor World. Neil is deeply involved with all aspects of our properties; along with Dave, he picks them out, lays them out, and does much of the actual Deerscaping. 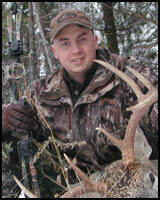 All NorthCountry Whitetails' properties come with a management plan developed by Neil. Let’s face it, not everybody can afford the price of a high quality deer hunting property. It takes relatively large acreage to practice Quality Deer Management and large acreage cost money-- big money. NorthCountry’s Hunting Block Program is designed to make property ownership and Quality Deer Management affordable for hunters who aren’t in a position to spend big bucks to hunt big bucks. Here’s how it works. NorthCountry Whiteails uses its experience and expertise to select a large tract of land with outstanding deer hunting potential. NorthCountry develops a Hunting Block Property Management Plan and implements it. Food plots are installed, cover is created, sanctuary areas are established and access roads and trails are created. In short, a whitetail paradise capable of attracting and holding quality deer is created. The Block is then divided into self sufficient management “Units” of approximately 60 to 100 acres. Each Unit features professionally developed food plots and other improvements. Each Unit is a “self-contained” hunting property and comes with its own unique management plan. Owners are encouraged to implement the plan in order to “improve” their Unit. Improvements will not only advance their hunting potential but the quality of the hunting block as a whole. Units are the exclusive property of the purchaser with all the rights, privileges, and responsibilities of private property ownership. Hunters interested in larger parcels may purchase additional units or expand “ownership” and control costs down by recruiting like minded friends to purchase adjoining units. In short, Unit owners enjoy large property deer management benefits at small property prices. Individual units contribute to the overall success of the Block and the Block contributes to the success of each Unit. NorthCountry Whitetail’s Hunting Block Program makes quality deer hunting and land ownership affordable to almost every serious deer hunter. Call for more details and availability. Q: Where are the Blocks located? A: At this time all NorthCountry Hunting Blocks are located in the southern tier region of New York State. Well within driving distance of Boston, NYC, NJ, Philadelphia, Pittsburg and Upstate NY. Q: Why do NorthCountry Hunting Blocks work? A: Our Blocks work for a variety of reasons. First, we only select blocks with potential to attract and hold deer from thousands of adjoining acres. Second, we develop a management plan for the Block as a whole and individual Unit plans. Third, we implement the basic plan. Fourth, beyond the basics the plan identifies additional practices to be implemented by individual Units to not only improve the Unit but the Block as well. As the Unit and entire Block’s habitat improves over time so does the hunting. Unit owners generally enjoy doing some wildlife habitat work and definitely enjoy the improved deer hunting. Q: The Block concept makes sense but I like evidence. Do you have any proof it will work? A: Our hunting blocks are similar in concept to landowner co-ops. The Quality Deer Management Association (QDMA) has been developing landowner co-ops” for years. QDMA has ample data on the effectiveness of co-ops. Visit their website at qdma.com or contact us for more information on QDMA landowner co-ops. Q: Do the Blocks have rules? A: No, individual Units are independently owned and operated. We encourage Unit owners to work together for the good of the Block but we have no control of the property once it is sold. Of course, state, federal and local laws and ordinances are in effect. Q: Do the experts at NorthCountry Whitetails support Unit owners once the Unit is sold. A: We support unit owners in a variety of ways. Each Unit has been planned and set up by a professional land manager and each Unit comes with an individual management plan. NorthCountry is happy to answer any and all questions “Unit” owners might have about implementing the plan. Q: How else can NorthCountry support Unit owners? A: NorthCountry is available to do post sale Unit consultation visits on a fee basis should landowners need on site services of a professional land manager. Q: How large are the Blocks and Units. A: That varies depending upon conditions. But, Blocks at a minimum generally number in the hundreds of acres while Units are generally less than 100 acres. Q: I really like the Block Program but want to own more land than a typical Unit? A: You can always buy two or more Units. Prime whitetail hunting property at a very nice price. Located near Corning NY off of NY 86 and just a few minutes from town for easy winter access lodging and dinner out. High quality mineral belt location for larger than average antlers. Mixed hardwoods (oak) with some conifer stands. Features a centrally located 3.5 acre corn and soybean destination field. 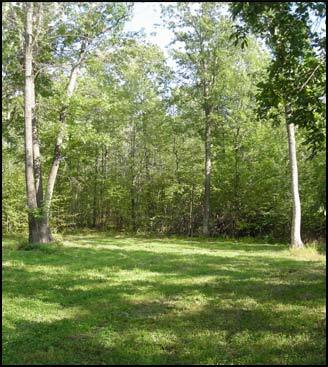 Six food plots strategically placed and set up for bowhunting, along with 2 beautiful, high-end, enclosed shooting house. For winter hunting. Hundreds of apple trees, great cover and a sanctuary area. Recent TSI work completed. Outstanding hunting created by a combination of highway, railroad and mountain topography which creates massive “rut funnel” through the center of this property. Well documented history of big bucks using this property and coming and going during the rut. Easy access on dead end road. Road can be gated. Building site for cabin or lodge, electric available. A nice network of recently installed access roads makes hunting easy. Site cleared for storage facility. Easy access to Corning for supplies, services and medical. This classic deer hunting property was once owned by Pennzoil and borders the state of Pennsylvania for close to ½ mile. It has a “big woods” feel with a well established deer population and some spectacular mountain views. It has been lightly hunted over the years and has a history of deer, bear, turkey and small game hunting success. A well established network of access roads and logging trails make for easy hunting and complete access to the property. A building site with gravity fed spring water, electricity, and hard road frontage make setting up camp a snap. A number of old working shelters dot the property and provide a sense of history and places to get out of the weather. The town of Olean is nearby for supplies, meals out, and services. 7 acres of food plots have been installed near the center of the property to draw and keep deer. There are no competing agricultural plantings nearby draw deer away. Many acres of cutovers and grown abandoned roads and browse clearings provide year around food and cover. The woods are primarily mixed hardwoods with stands of conifers. This property in 100% huntable and will hunt like 500 acres. 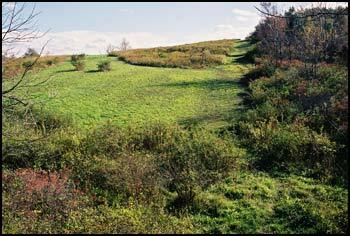 Open the early NY season on this northern zone sportsman’s paradise. This property features a beautiful all season trout stream, (Florence Creek), feeder streams and a magnificent beaver dam complex with flowing brook. It has a nice resident population of deer, turkeys and small game and waterfowl and is a hop skip and a jump from Oneida Lake’s world class fishery. It partially fronts on a paved road with power runs available and a nice building site. An extensive network of access roads and rolling hills make for “low impact” hunting. This is truly a breathtaking property. The water features alone are worth the asking price in-and-of themselves. The woods are mixed northern hardwoods and conifers with plenty of cover and rolling terrain. 9 acres of food plots including 2 large (3-4acre) destination plots and smaller hunting plots will attract and keep deer on the property while providing great hunting. A 5-10 acre old abandoned apple orchard provides seasonal food and year around cover on this northern property and plenty of winter white stuff make this place a winter playground. Deer season opens early and lasts late in the northern zone of NY. You’ll be bowhunting Oct. 1 and rifle hunting by late October. The deer using this property are large “northern deer” so better get a set of 300lb. scales. The property is a short distance from I-81 and I-90 making this a simple drive from MA. and places East. Close to I-81 for easy driving from the north or south. Near Norwich NY this property is available with full gas rights making for a very attractive investment opportunity. It is within easy reach of most parts of NY state and NJ. It is located within a large block of very huntable and remote woods. It houses an excellent population of mature deer, turkeys and small game. It features 2 large destination food plots to attract and keep deer on the property and 2 hunting plots for harvesting deer. The remainder of the property is rolling hills with northern mixed hardwoods and conifers and numerous access roads make for easy, low-impact hunting. It has some paved road frontage with a nice building lot and has been closed to hunting (estate) for a number of years. It is 100% huntable and holds nice numbers of older aged deer. Located in the center of the gas drilling Marcellus Shale formation, this property has an interesting upside and recreation to boot. Where else can you have this kind of fun while making money? NorthCountry Whitetails recognizes the importance of a hunting land purchase. Dreams are realized, memories made and assets grown. We own our own personal hunting property and know first hand the joy and pride that comes from owning your own hunting property. We've done everything in our power to make your land ownership experience as rich and rewarding as ours has been. All of our properties have been hand picked by NorthCountry Whitetails personnel with an eye toward creating quality deer hunting. We develop management plans and work on our properties before offering them for sale. We take your calls 7 days a week, answer your management questions, and are available for follow-up services. We will not sell you a property unless we are confident that it will meet your needs. We therefore state unequivocally that, if, after implementing our NCW Management Plan, you are unhappy with the results, we will visit your property, reevaluate it, create a new management plan, and supervise its implementation. Free of charge. We're not happy until you are totally satisfied and enjoying your property. It's that simple. It used to be that property buyers could either afford to buy or they couldn’t. They asked “how much” did some quick back of the envelope math and came up with either a “yes” or a “no”. They knew what they had to work with and they made decisions accordingly. Their financial future was more certain; or at least they thought so. Today, it’s different. There are plenty of buyers with plenty of money but there is not the same degree of confidence. It seems like potential buyers are relying more and more on third parties like a financial planners or accountants to give them “permission” to spend the money on a property. In a sense they wind up “subbing out” the decision to so some “financial resource” person. Unfortunately, these “experts” sometimes give advice not fully understanding the dynamics of the recreational property market. For instance, some “experts” are gun shy of anything that even smacks of a real estate deal. They hear of the “tanked” real estate market and want their clients to stay out of it. The news can’t stop braying about underwater mortgages and foreclosures and it is rubbing off on some of the so called “experts”. While this might be true in certain markets and caution and due diligence is always good advice, there is no reason to stay out of the hunting property market. It is stable and defiantly worth a look. We have watched this market for some 20 years and have found land to be a pretty solid and safe place to park our money. In fact, we have significantly added to our personal land holdings over the past 10 years and are very happy to have done so (our stock market record should be so good). Others seem a little more self serving. They get paid to manage money for people and will make a whole bunch less if their customer takes a half million dollars or so out of the game. Forget the fact that one of their client’s goals has been to be able to own their own hunting property, a guy has got to worry about his own business and managing other people’s money he how many financial planners make a living. Besides the market is on it’s way up (again). We have also seen a trend of financial advisors trying to keep their clients in investment vehicles including a super volatile stock market. It’s as if they were asleep under and old oak tree since the recent market meltdown(s) and recession (anyone for 10 pins). Are they serving their clients well or are they giving bum advice? It’s hard to say, especially without full understanding of a person’s financial circumstances. One thing for sure, in the past 10 years we have seen it all. We’ve seen prospective buyers advised to “stay in the market and earn your money back” only to have the bottom fall out and wind up deeper in the hole. A few years ago they could have bought 300 acres, now they can barely afford 10 acres and a 600 sq. ft. camp and an outhouse. We’ve seen people “sell high who bought low” and two weeks later sign a contract on the hunting property of their dreams. Today that property is worth 15% more than they paid for it. And, they are having a great time hunting it. The last thing we want to do is push someone into a property they can’t afford but of late, more and more misinformation seems to be turning up about purchasing recreational property. The following are some of the more common myths being advanced by some of the so called “financial experts”. Everybody is selling land(myth). Times might be uncertain, but hunters and recreational landowners are still holding on to their land. Beach houses, Florida condos, and storefronts may be for sale everywhere but not good hunting property. We are always looking for it and it is very hard to come up with. In some states like PA, IL, IO, NJ, WI and VA good hunting property is either impossible to find or impossible to afford. Fortunately there is still some good hunting property left in a few states like NY, OH, KY, MI and some parts of the South. The recreational property (hunting) market has “crashed” (myth). There is still plenty of demand out there for good hunting property. In fact in our experience, good hunting properties are very difficult to find and very few individuals have lost money on good solid property investments. Every year hunters eager to realize their dream of owning a place of their own show up at the buyer’s table with money to spend. Land prices have plummeted (myth) In almost 20 years of tracking hunting property prices we have seen a steady increase in land values of approximately 5%. Sure, speculation land and enterprise property in S.Florida, or Arizona or Las Vegas, has plummeted as have mortgage bubble inflated home prices but recreational property suitable for hunting has steadily risen in price. You’re better off investing in stocks and bonds (myth) Take the 5% annual appreciation of raw property and add roughly 2% per year for whatever timber asset your land may possess and you are looking at roughly a 7% annual appreciation in land value. If you improve your property with food plots and other enhancements your property can easily appreciate even more. Barring a major catastrophe this beats any “low risk” bond you will ever look at and given the “up down” nature of the market is a whole lot safer. Remember the guy advising you to stay in the market is generally is making money by doing so. The taxes will kill you (myth, unless you let them kill you). Yes you will be facing property taxes but they can be reduced (up to 70%) by enrolling your property in any number of conservation and/or timber management programs (like 1040-A). Some programs reduce taxes some pay you directly. You can also lease portions of your property to croppers and realize significant revenues from a timber sale every 10 years or so. Gas and wind power leases are also yielding tremendous revenues to some land owners. You can also permit others to hunt on your land and charge for the privilege. Your property tax burden can be reduced significantly with little to no negative impact to your hunting enjoyment by taking advantage of the various programs available. The banks won’t give you a mortgage. (myth) We can’t get you a 0% down “bubble loan” but we can help you get a no frills solid band financing package. If you have 30% to put down, good credit and some assets to back up the loan a 10-15 year mortgage should be no problem. Land is not liquid (fact). Non-liquity is a characteristic of land. It is not impossible to sell land in a hurry but even the smoothest transactions with a seller and willing buyer take a month or so to get done. If you are looking for the fast action, stay in the market or head for Vegas. If you ask a fair (non losing) price you should be able to sell a good hunting property within a year of putting it on the market. And, this isn’t all that bad. Land deals shouldn’t be done in a hurry. Most good ones never hit the market and are scooped up by neighbors. You’ll be sorry, you can’t afford it (myth). Only a golfer or an idiot could make a statement like this. We deal with hundreds of hunter/landowners each year and very few would trade their land for anything. To the contrary, they wonder how you can’t afford to own property. Sometimes they want to upgrade but seldom do they want out of the land owning business. Unlike boat buyers who are as happy the day they sell the darn thing (we should know) as the day they buy it, most landowners would sooner cut off an arm than cut 10 acres out of their land. Once you get dirt under your fingernails it can never be washed out. Land brings peace and tranquility and a sense of order to ones’ life. You’re buying a lifestyle not making an investment. We offer the above not to convince you to buy property from us but to set the recreational land record straight. Most of our experience is in the state of NY but for the most part these findings hold across most of whitetail country. Exceptions would be in “fancy” deer hunting areas like Iowa and Pike Co. ILL and Buffalo County WI where prices have skyrocketed due to big buck fever. Most experts agree that the economy is not likely to settle down any time soon. Advisors urging you to “wait till things calm down” or “wait till the market comes back may not be aware of the economic safety and pure pleasure of owning land. If you are wondering if you can afford your dream property by all means talk to everybody and anybody you can but be careful of what you do with the advice and much of it may be more myth than reality. Deer management is site specific. Wildlife biologists agree on this as do experienced deer property managers. One property can have an outstanding population of whitetails with terrific hunting while another property ½ mile down the road can have terrible hunting. In other words all deer hunting properties are not created alike. That’s why real estate comparables do not work in valuing whitetail hunting property. It’s easy for a realtor to value a home in a given neighborhood. Basically they count the bedrooms, bathrooms, figure the square footage look up a few homes with similar characteristics that recently sold in the development and presto, they can pretty much approximate the value of a given home in a given location. Not so with deer hunting properties. First of all, most property sellers are absolutely clueless about what separates a good deer property from a poor one. Appraisers and realtors usually don’t have the time to walk the property and see what is really there. Instead they compute the total acreage, list categories like “wooded”, “tillable”, count the ponds and call it done. The rest is up to you; and you Mr. and Mrs. Buyer had better beware! Few buyers know how to assess a deer hunting property’s hunting potential and worth. This is especially true when that potential is hidden under a tangle of brush or under six inches of sod in an overgrown field. Most buyers don’t even look at the “neighborhood” with an eye toward poaching and trespassing issues. Most buyers have difficulty visualizing what the potential of a property is when the property is “in the raw”. Most buyers are unfamiliar with the formulas used by NorthCountry Whitetails for assessing a deer hunting property’s value. And sadly, most buyers are likely to overpay for their deer hunting property. That’s where the experts at NorthCountry Whitetails come in. With over 200,000 acres of deer habitat under management, we know deer and deer hunting properties. We take the guesswork out of selecting a property and determining what it is actually worth. We have worked on and “deerscaped” more deer hunting acreage than the average seller or buyer has seen in a lifetime. We only work with high quality properties. When evaluating a property’s worth we throw comparables “out the window” and think in terms of “huntables”. “Huntable acres” to be exact”. We don’t usually count large fields when tallying “huntable acres”. Nor do we consider impossible to climb hillsides or property boundaries lined with hostile neighbors all that “huntable” either. We don’t like swirling winds and we hate ground that can’t support food plots. There is nothing “huntable’ about acreage like this kind of acreage and we want no part of it. Neither should you. No wonder we reject 90% of the property “deals” that come our way. A property “deal” is a “no deal” if the property can not produce quality deer hunting. All NorthCountry properties come with “satisfaction guarantee” when it comes to quality deer hunting. When it comes to buying a deer hunting property, don’t get distracted by the “comparables game”. Think cost per “huntable acre” and put your trust in NorthCountry Whitetails to give you the most “bucks” for your buck. Buying a property for hunting, weekend retreats or for a kinder gentler lifestyle is one of the most important decisions you will ever make. Recreational property is not only expensive; it also represents a lifestyle decision. An unsuccessful purchase can not only waste your money but more importantly, it can waste your time and be frustrating as well. Bottom line, it is not a decision to be taken lightly nor is it a decision to be made without the help of a professional, well acquainted with managing and developing hunting property. 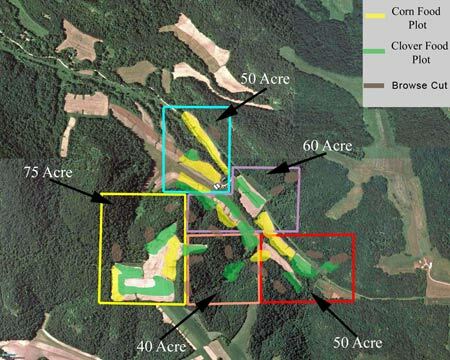 NorthCountry Whitetails takes the guesswork out of buying hunting property. Unlike realtors and land developers who deal in high volumes of properties of every description, NorthCountry specializes in properties selected, and developed to provide exceptional deer hunting and wildlife viewing enjoyment. NorthCountry looks at dozens of properties before purchasing one for a project. We specialize in creating “Deerscapes™” with outstanding white-tailed deer hunting potential. Not every property is suitable. Not every property becomes one of our “Deerscaping” projects. We avoid properties where the acreage is broken up by public roads or too visible from public roads. We look for solid well defined boundaries to help keep trespassers out and land owners in. We look for habitat diversity and lots of wildlife loving edge. We reject properties with too many fields and not enough cover or not enough open space and too much big woods with no food and cover. We look for properties with “good ground” that will support food plot plantings and the creation wildlife habitat. A good network of access roads and trails is always a plus as is a scenic spot for a cabin or hunting lodge. And then there is the deer, always the deer. We look for neighbors who practice QDM or would at least be good neighbors for someone who did. We are partial to properties with natural sanctuaries or properties that can be modified to create sanctuaries. We look for thermal cover for winter protection and sunny exposures for early (and late) food plots for winter daytime activity. We work only with properties that can hold deer and stay away from “wrong season” and “pass through properties”. We check the wind for hunting set ups and make sure the property can attract and hold mature deer. We stay away from low deer density regions and areas suspected of harboring deer disease like CWD. We take a look at local genetics and harvest data as well. All this before we even think about buying. The real fun begins when we start the “Deerscaping” project. Boundaries are posted; access roads and trails established and out come the chainsaws, tractors and dozers. Cover is created; food plots are designed, built and planted. 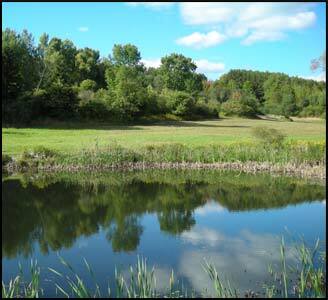 Wildlife ponds and sanctuaries are located and built while cover is created. By the end of year one the project is well on its way to becoming a whitetail Mecca. Wildlife and deer sightings increase almost immediately. Mature bucks regularly start showing up around year three of working with a habitat improvement and management plan. Most of our projects sell during our first year of working with them however, the work generally continues long after NorthCountry Whitetails turns their “baby' over to its new owners. We have worked with scores of landowners around the country and the story is pretty much the same. Every body having fun everybody getting results. When you buy a NorthCountry Whitetails project you can rest easy that our team has spent dozens if not hundreds of hours on your location. From the selection process, through layout to performing the actual work, NorthCountry's professionals have been on top of the situation. We have worked all of the tough land ownership issues for you. When we turn over the keys it is ready to go. Each and every one of our project comes with a management plan put together for expressly for the new owner. We are available to help you implement the plan or, if you prefer, we can do the actual implementation it for you. Professional realtors and recreational property developers sell property and most of them are pretty darn good at it. You can pretty much depend on them to show you all kinds of properties including the good, the bad, and the ugly and help you part with your hard earned money. This is their job; this is how they make their living. If you are persistent and have lots of time to spend, chances are you will find something you think is suitable in two or three years. You may or may not get your money's worth. You may or may not get a good deer hunting property. Sadly, you won't really know for two or three years or more. Why risk wasting your money and five years or more of your life? NorthCountry Whitetails works differently. We work with the realtors or directly with those hard to find landowners to find that one property in 50 that is fairly priced and has outstanding potential. Then we convert it to the deer hunting property of your dreams. You buy it started, well on its way to becoming a finished project. It's done right and comes with a professionally developed management plan (kind of an owner's manual for property). You don't have to guess, wring your hands or worry. We are there at your side for as long as you need us. Our credentials speak for themselves. Simply stated we, are the best Deerscapers in the country and we have the record to prove it. With North Country Whitetails it's not a question of getting your money's worth it's a question how much fun and enjoyment you can stand. It's really is a “no-brainer”.